It’s been 40 years since Napa Valley wine pioneer Mike Grgich, the energetic 94-year-old, vaulted to the top after his wines beat the French in the historic Paris Tasting of 1976. This year, we are all benefitting from the winery’s anniversary victory lap with wine events, dinners and appearances at large tasting festivals. Grgich was 36 when he came to the Napa Valley from what is now Croatia, back in 1958, virtually penniless. Through hard work and good fortune, he is now in the Vintners Hall of Fame and the Smithsonian Institute in Washington, D.C.
All this has led to a great following among wine lovers, and Pala Casino devoted an evening to saluting his legacy and fine wines. The sold-out event was carefully coordinated by chefs of the Cave to bring out the best of the wines presented, including a Fume Blanc, Chardonnay, Zinfandel, Merlot and Cabernet Sauvignon. Pastry Chef Albert Cruz created a special “Chocolate Creation” to combine with the Cab, a match made only at the Cave for that evening. A word about this year’s vintage Chardonnay. It is an elegant, limited production wine made to mirror the world renowned Chardonnay that defeated the French versions in the historic Paris Tastings in 1976 and instantly put Napa Valley on the world map of great wine countries. It gave Grgich the confidence to start his own winery a year later, holding to his high wine making principals of balance, elegance and food-friendliness, farmed organically and sustainably. 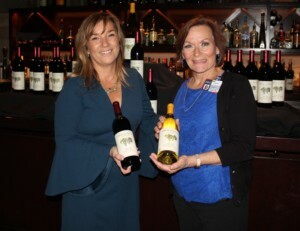 Pala’s next wine dinner event will be Merryvale Wines from St. Helena in Napa Valley, March 15, with a reception at 7 p.m. and dinner at 7:30 p.m., in the underground Cave. Tickets are $85 each. Call (877) 946-7252 and ask to book the Merryvale wine dinner. The latest drink and eat creation in the urban landscape is really a throwback to the postwar gathering places where fast casual met tasting rooms for quick food, beer and wine consumption. Food halls. Breweries and bars are now back with a cluster of small restaurants and tasting rooms in pedestrian only indoor-outdoor atmospheres to meet up and eat and drink up. This trend has been bubbling on the west coast for decades with Pikes Peak in Seattle, Giardelli Square in San Francisco, and now booming in San Diego with its outdoor influenced year-round beautiful weather. 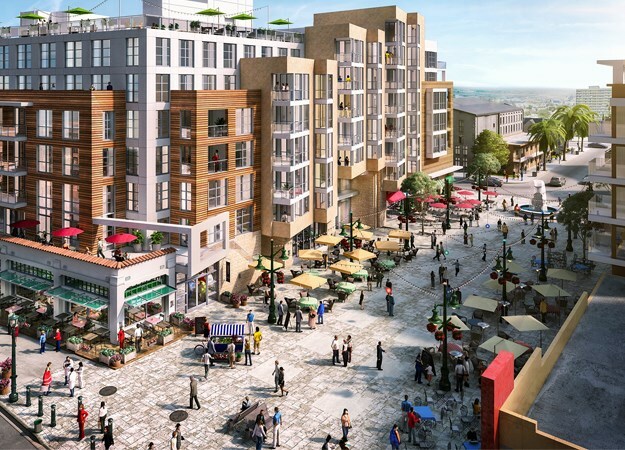 Liberty Station has proven that with its Liberty Market, and now we have the Little Italy Food Hall preparing to be the focal point of the new Piazza della Famiglia, a block-long center of attraction in San Diego’s booming Little Italy district, set to open in the summer of this year. Strolling sitting and tasting, indoors and out, will keep families coming back for more with food and drink stations and a mobile outdoor chef’s area with cooking demonstrations. A strong cultural fishing heritage will be in evidence with greens, blues and nautical design elements. Plans for the piazza include farmers markets, concerts and cultural events. One hundred and twenty-five apartments are being built overlooking the piazza, with underground parking to serve residents and visitors. View more at littleitalyfoodhall.com. • 2Plank Winery in Vista is having a Bottling Party from noon to 5 p.m. March 4. New wines, up to now in the barrel, will be bottled. This is another step in the process of creating great wines. Prepare to participate and get sticky! Includes Sangiovese and Cabernet. Details at 2plankvineyards.com. • Seasalt continues its winning wine dinners for 2018 with the fabulous Pahlmeyer Napa Valley wines at 6 p.m. March 9. This 30-year-old award-winning vineyard is well known for its French red Bordeaux clones, and Seasalt owner Sal Ercolano has special menu entrees to match them. Reserve early, this one will go fast. Tickets are $75 per person. Call (858) 755-7100 for an RSVP. • Palm Desert Food & Wine presented by Agua Caliente is again at the Gardens on El Paseo March 23 to March 25. Celebrity and local chefs will join premium wines, beers, spirits and restaurants. Two days of grand tastings on Saturday and Sunday. Tickets on sale now at palmdesertfoodandwine.com. Reach Frank Mangio at mangiompc@aol.com.